Graceful, arching racems of nodding, flat spikelets top long stems. 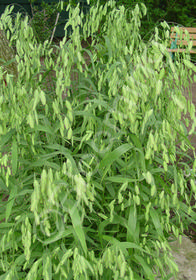 The attractive seedheads persist through winter. In the Pacific Northwest, it needs a sunny site that stays moist in summer.